It is helpful to become more aware of the internal conversations that happen inside of us. 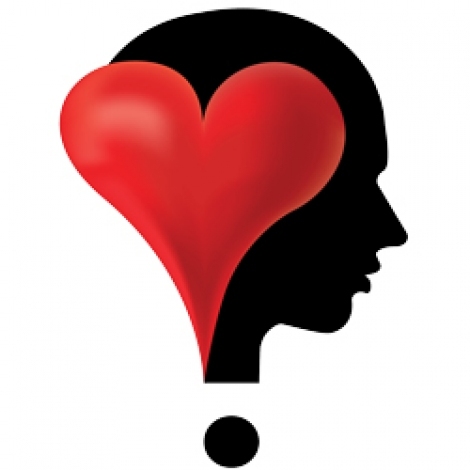 Often times they occur between our heart (the passionate side) and our head (the logical side). I refer to them as The Great Debates. What’s important to know about them is that while the head may have many different voices and reasons, most of the time they will be emanating from fear. Here are some of the Great Debates that may be going on inside of you. - I’d love to get back into better shape, but today is just not going to be the day to begin. - I’d love to take that course, but I just don’t have enough time, energy, money, and/or studying skills to start again. - I’d love to start: writing that novel, making a musical, going into a recording studio, taking out my oil paints, picking up my dusty guitar, yet what if: my joy is gone, the experience is too painful, or something rusty and terrible comes out? Facts About Our Fear Courage is the muscle of the heart. The next time the opposing forces - of passion and fear - begin locking horns, here are some things to be aware of. 1) Your fear will always be smarter, more logical, and have better debating skills than your curiosity, dreams, and passions. 2) The closer you get to engaging a dream the more threatened, opinionated, and louder this “fearfull” voice will become. 3) Your fear believes that it is the “good guy” -- the one who is protecting you and keeping you safe from anything unfamiliar or the possibility of disappointment and pain. 4) The longer you postpone the pursuit of a passion, the more difficult it will become to take a Not- Ready-Step forward and into the heart-space of your dream. 5) Even if your fear loses some early rounds, it will rarely submit to your passion and curiosity. Instead, it will keep lurking around waiting for the next opportunity to “protect” you from having any new experiences. If we could only get out of our head and into our heart. 1)Imagine that your fear belongs to your brilliant child, whose I. Q. is 100 points higher than yours. If this were the case, it would be fruitless to enter into a debate with your little prodigy. Instead, in order to maintain control of your family, you would tell your child that while you understand and appreciate his/her thoughts and feelings, this particular topic is not up for discussion. 2) Whenever the voice of fear rears its head, do not attempt to attack or annihilate it. This is because what we kick will stick. Instead, focus your attention on letting the “reasons” exist and express themselves, while not allowing them to vote. This discipline will weaken the fear’s sphere of influence. Most stress and pain come from resisting, avoiding, and debating rather than from engaging, experiencing, and doing the work. 4) Dare to make at least one Not- Ready-Move in the direction of your dream project. After making this courageous move, see how you are feeling. If the experience wasn’t as painful or overwhelming as your fear feared - take another action, and then another, and then another. Conclusion Remember, because your heart will never be smarter than your head, do not get suckered into a debate with all of your “reasonable reasons.” Instead, let all limiting thoughts, emotions, and body sensations exist and express themselves, and then say “Thank you for caring and thank you for sharing and thank you for being yourself. However, we are now going to gather the courage and take that Not-Ready-Action.” It is only with the Heart that one can see clearly; what is essential is invisible to the eye.